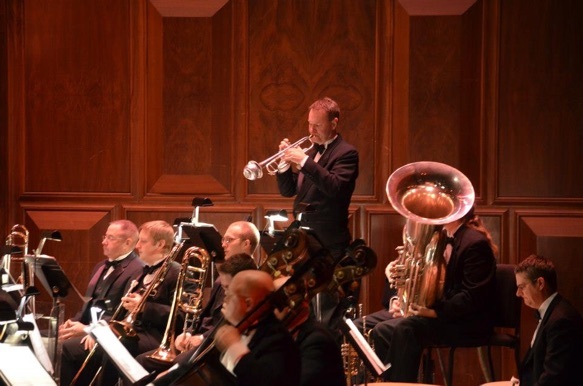 Phil Snedecor is Associate Professor of Trumpet at the Hartt School (of the University of Hartford) in Hartford, CT, and a former faculty member at The Peabody Conservatory, George Mason University and at Towson University. He has written a series of brass etude books that are required repertoire at many colleges and conservatories. His arrangements and compositions have been performed throughout the United States, Europe, Asia and Australia. Phil attended the Eastman School of Music in Rochester, New York, where he received the prestigious Performers Certificate and was a member of the premiere brass quintet, the Canterbury Brass. While earning his degrees in trumpet performance and literature, he also studied arranging and composition with Professor Rayburn Wright, formerly arranger for Radio City Music Hall. Mr. Snedecor is a former member of the Baltimore Symphony Orchestra and has held one-year positions with the National Symphony, the Kennedy Center Opera House Orchestra and the Baltimore Opera. He is Principal Trumpet in the Harrisburg (PA) Symphony Orchestra and former Co-Principal Trumpet in the Concert Artists of Baltimore. Mr. Snedecor has performed and toured throughout the United States, Europe and Asia.